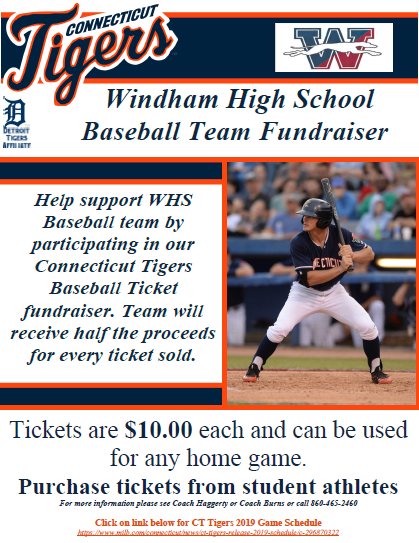 Help support WHS Baseball team by participating in our Connecticut Tigers Baseball Ticket fundraiser. Team will receive half the proceeds for every ticket sold. Tickets are $10.00 each and can be used for any home game.